BetterYouTM Turmeric Daily Oral Spray is a revolutionary formulation designed to deliver a greater uptake of the three active curcuminoids, ensuring superior absorption to tablets and capsules… guaranteed. 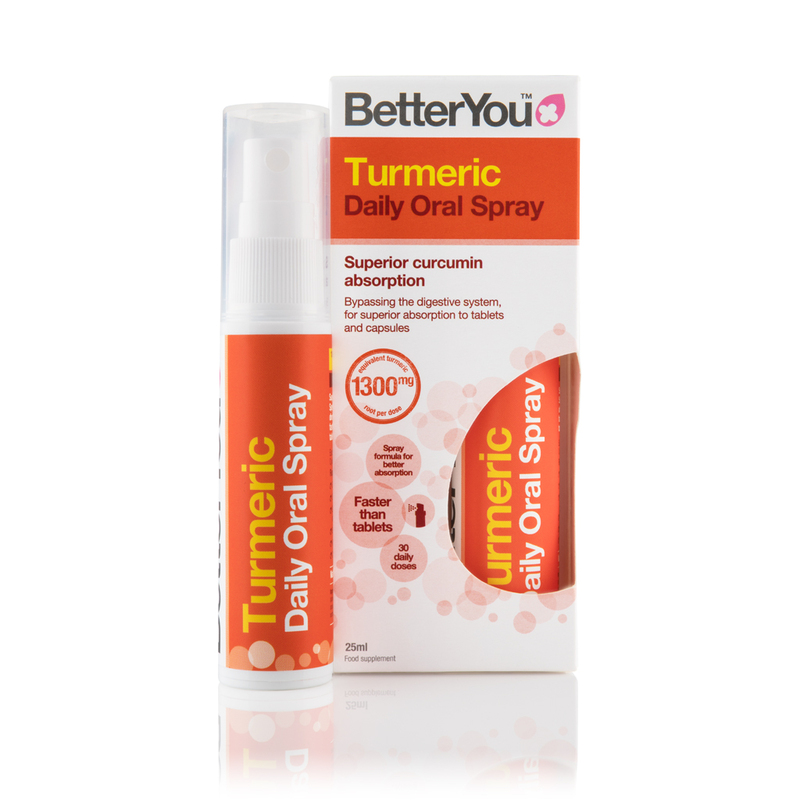 Four sprays will deliver 850mg of Cyclocurmin, that’s an impressive 1,300mg of turmeric root. Delivered with a great tasting, natural orange flavour. BetterYou’s unique molecular encapsulation process has been specially formulated to be absorbed directly into the bloodstream, bypassing the digestive system.